The nest camera of the University of Turku and Turku University of Applied Sciences provides live video of ospreys and other bird species visiting the artificial nest, situated about 35 m up in a lighted leading mark. The camera is located on the island of Seili in the middle region of the Archipelago Sea, SW Finland. Viewers may watch the web camera year-round, 24-hours a day. The current camera (Milesight Pro Ptz Dome 5 mp) has been in operation since December 2018. The 1080p live stream is transmitted from the nest to Youtube and Saaristomeri.utu.fi using two nanobeam antennas. Due to the camera’s location, storms etc. may cause sudden power outages which will interrupt the feed. Any issues with the feed will be resolved as soon as possible. 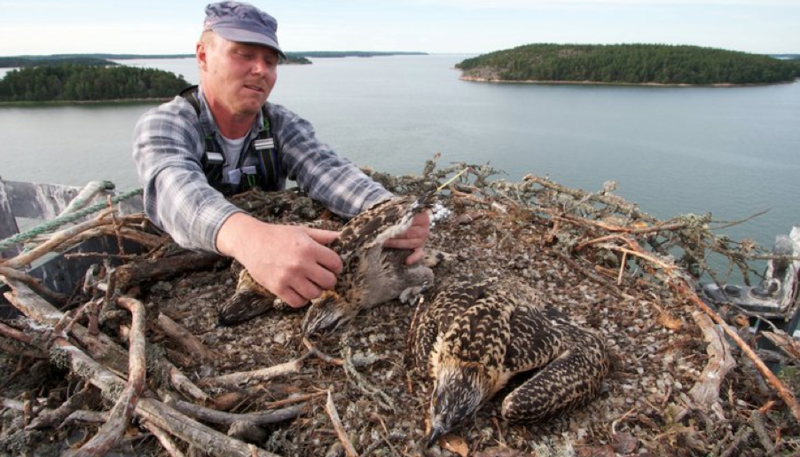 Seili osprey live camera is supported by the Finnish Foundation for Nature Conservation’s Baltic Sea Fund. 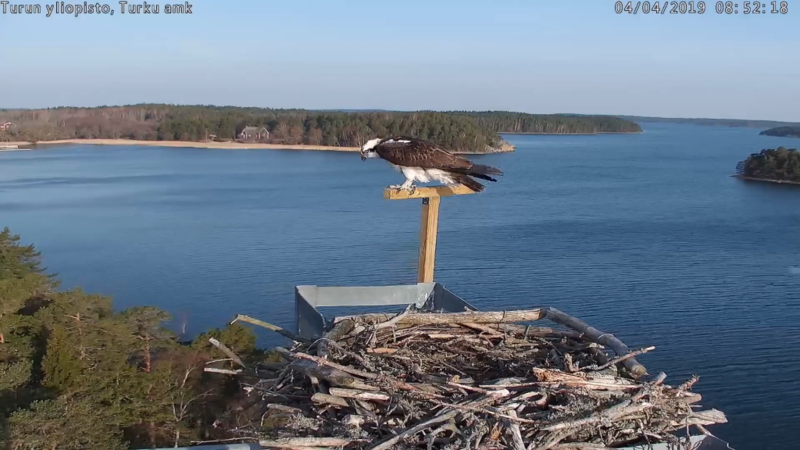 The nest camera was installed to the osprey nest in 2006 by the Turku University of Applied Sciences (TUAS) with the help of Archipelago Research Institute’s (University of Turku) infrastructure. At the beginning, the camera was maintained as part of NatureIT project, coordinated by TUAS, and later continued as part of TUAS projects Saaristomeri.info and BalticSeaNow, focusing on science communication and environmental education. Since 2015, the Archipelago Research Institute has fully participated in the maintenance and funding of the web camera and connections. 2018 * Several individuals sited 9.4. Several ospreys sited at the nest but no nesting. 2012 Vasuri & Tilda 10.4. 3.5. 4.6. 4.6. 6.6. 32 BalticSeaNow-project starts to maintain the camera. New camera and a nesting platform is added. 2011 Vasuri & Tilda 13.4. 3.5. 12.6. 12.6. 14.6. 40 Several ospreys are observed to visit the nest. Vasuri prevails and mates with a female named Tilda. 2008 – – – – – – – Saaristomeri.info project maintains the camera. 2006 Tapani (M) & Liisa (F) – 3.5. – – – – TUAS installs the camera as part of Natureit.IT project. The osprey couple lays three eggs, additional information not available. Information in this table has been collected from project reports and Saaristomeri.utu.fi & luotio.fi discussion forums.